Charles Martell's legendary Vintage Pear Spirit (40% ABV). 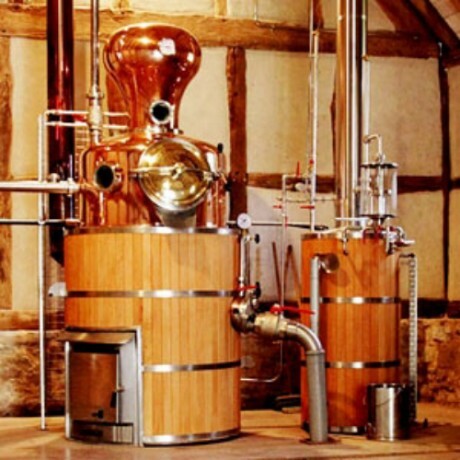 A sophisticated drink produced in a beautiful, highly engineered wood-fired copper pot still. The spirit has a mellow, smooth and rounded mouth-feel to it, which has amazed experts with its quality and intense pear flavour due to the use of vintage varieties of perry pear. The fruit is grown and fermented on Charles Martell's own Gloucestershire farm in the heart of fruit growing country before being distilled with care in the farm's restored 17th century distillery. This bottle is available in three sizes, 70cl, 50cl and 5cl, with the two larger sizes being presented in Charles Martell's very own design of tube depicting the local landmark, May Hill. Thinking about purchasing a bottle for a special occasion? 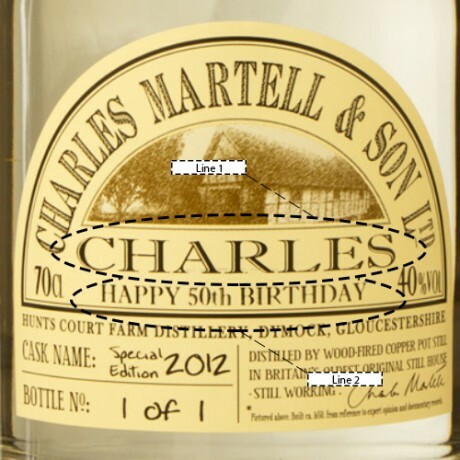 Whether it's a wedding anniversary, birthday or even a corporate event, why not personalise the bottle label with a printed message of your choice? For a small extra charge you can print two custom messages right on the bottle label for that added personal touch! Please note that personalised messages are only applicable to the 50cl & 70cl bottle sizes. Select the "Contact the Maker" button to confirm ingredients. 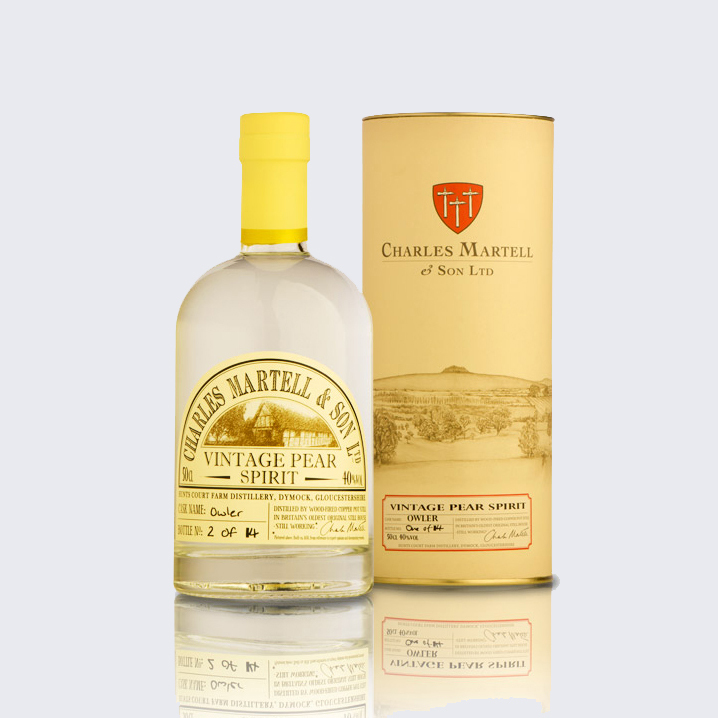 Having tried the two speciality Pear spirits from Charles Martell's distillery, I thought I'd give some of the other offerings a taste. The Jack High cider spirit is my favourite and I'd rate it against any Calvados I've tried to date (and I've tried quite a few!). These limited edition, speciality spirits from Charles Martell are well packaged and presented. They would make an excellent gift for the adventurous drinker or for those people who seem to have already tried every other drink out there. For my birthday last year I decided to treat myself to a bottle of each variety, both the Dymock Red and the Speart. I enjoyed them both very much. The level of flavour in both is good, especially when you consider how early in the distillation process the pear flavours come over and I was expecting there to be more of a heads burn but was pleasantly surprised. The flavours are more complex and 'peary' than I was expecting with a marked difference between the two different varieties. If I had to pick a favourite, it would be the Red Dymock, but that's just my personal preference and I'd be over the moon to be given either as a present. 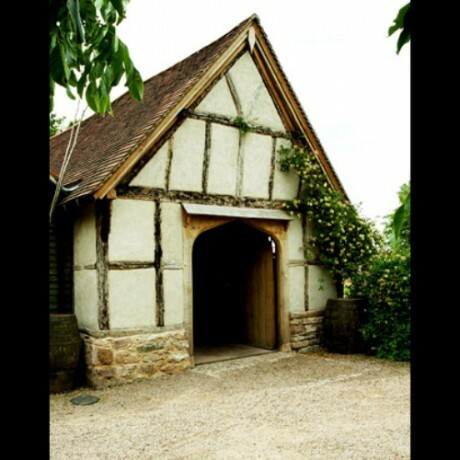 Traditional spirits from fruit, perry and cider distilled with modern finesse on a farm in Gloucestershire.